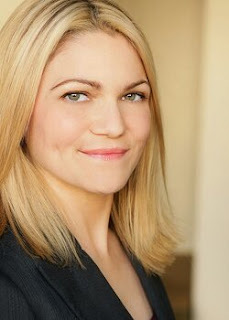 Interview with Lori Martini...Actress, Writer, Mets Fan and Duranie! 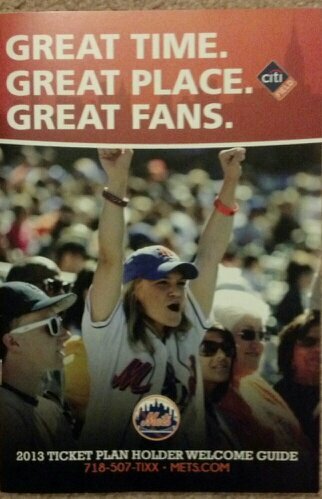 Lori cheering for her favorite team New York Mets! My chat with a fellow Duranie, Lori Martini, who loves New York Mets as well. She's an actress, writer, producer and so much more. Read more about this New York native and find out who she would like to work with in the music industry as well as her favorite film of all time. She shares a couple of incredible quotes with me as well. I really loves what she says about writing because I feel the same way about writing too. Maria- As I was reading about your work and watching your commercials. I realize you’ve done a little of everything in the entertainment industry. You’re a writer, actress, director, and producer. Which is the hardest to do? Also, is there one that is your favorite? Lori- I think they’re all equally tough. We are always the worst critics of ourselves, and we try and constantly improve things. I think what I enjoy the most is writing and producing. Directing is a different beast and not as much fun for me as most. It is all hard work, but most importantly it has to be fun. Acting is about “Being” whether that is being yourself or someone else. It’s like playing. Writing to me is such a passion because I get to tell a story about my perspective about life whether that’s part of what actually happened in my life, what I wish would happen or an escape from reality. Maria- Your song “Believe” is definitely a very upbeat song and fun and positive. I read that you would like for this song to be the NY Mets anthem song. What was your inspiration behind writing of it? Lori- Thank you! Funny, I had told one of my co-writers, Nate Rylan that “Hey I write sad songs” and his response was, “well yeah, but they always have a positive twist.” So I guess that’s a good thing. I don’t even realize that I’m doing that. I’m such a nutty, Die-Hard Mets fan and I wanted to write a song for them and how it feels to be a Mets fan. They get you excited and sometimes often than most they disappoint, but you still BELIEVE and stay loyal to the team. Mets fans are the most passionate and knowledgeable of all baseball fans I know. It’s funny, I wrote this song in 2011, and four years later they are living everything that I wrote in the song. Tug McGraw coined the phrase in 1973 “Ya Gotta Believe” , and it has stayed with Mets fans ever since. I was born that year and I can’t believe someone hasn’t written this song sooner. I was excited that one of the players in 2011, Justin Turner asked permission to use it as his walk up song, and of course I said yes. I was almost heartbroken that he almost killed our dreams of advancing because he is now on the Dodgers and was single handedly having an MVP series. Maria- Where do you go for inspiration for the writing of your songs? Lori- Usually it comes from feelings and emotions. Sometimes a word or phrase catches my ear and that will inspire me as well. There’s also times when someone come up with this idea, “hey wouldn’t it be cool if…” and then I start writing like a fiend. Maria- How many songs have you’ve written so far? Lori- Hmm, I think completed, fully produced songs I’ve written is over 50. I still have about 6 songs that are waiting to be produced and then a whole notebook and draft emails to myself of other lyrical ideas. Maria- I know you’ve collaborated with Cassandra Kubinski. How many songs have you two worked on together? Do you have a favorite? Lori- Cassandra and I wrote about 12+ songs together. Two are still in the works. God, I love them all. It’s difficult to say. I guess the one that’s most fun is “Barcode” and the one that is the most emotional and popular with fans is “Swim.” I love them all though… “My Own Way”, “Porcelain Doll”, “Work of Art”, “Cattle Call”, “Downward Spiral”.. etc. Maria- Tell me what inspired you to write “Beautiful’. Was there a life event that inspired you? Lori- Yes, actually. There’s really no bad experience in life because this song came out of it. I was on and off for many years with a guy I was dating who took me on such an emotional roller-coaster, and I just couldn’t seem to break away from him until 3 years ago. While I was still in that tumultuous relationship, “Beautiful” came out of it. He would make me feel on top of the world and then treat me like garbage the next day. It was really toxic , and I’m glad I got out of it. I met someone wonderful almost 2 years after breaking free. Maria- In your film short “Caught”, it’s a film about baseball, and you played Hannah. Can you tell me more about your film and what you loved about the whole filming process? Lori- I play a lot of softball and one day when we were experiencing a torrential downpour from Hurricane Hannah, I got this idea of how softball plays relate to life events. I named the character Hannah because of the storm that was happening when the idea came to me. Also, Hannah spelled backwards is the same. I love dual meanings to things and that’s also where the title comes in. Hannah is a catcher and she’s caught in a bad family situation and she also catches her brother in the biggest deceit. The short started off as a rough draft and went through 15 more revisions before becoming final. In filmmaking you write 1 movie, you almost shoot another and then edit another. It’s amazing what becomes of a film from start to finish and I enjoyed the transformations throughout the process. What I love is how people who came to see it, felt a connection and related so deeply and that’s what you want. You want that message to be translated and accepted. Maria- In the film “Caught”, you also starred in it but also wrote the screenplay and a producer as well. Would you like to see this film be made into a feature film? What was your favorite part…actor or producer? Lori- Funny that you ask. Actually everyone who has seen it wanted more. They all saw it as a feature. It wasn’t my intent because of mainly financial costs that you incur to make a film, but if I had the money to make it into a feature, I definitely would. I also have a few other features I’ve written that I would love to have the money to produce them. My favorite part? Hmm, that’s tough. I loved my character’s total emotional journey. I got to express almost every emotion in my character and that’s something that you don’t often get to do as an actor. I mostly like that it wasn’t wrapped up in a happy ending…that it leaves it open for interpretation for what’s next and how life truly is. I don’t want to give away the plot, but I will say that people who live honestly do get the short end of the stick in life, though the most valuable thing is integrity. Maria- What advice would you give to someone who wants to be involved in the entertainment industry? Is there something you would have like to have known in the beginning? Lori- If you’re just starting out, volunteer and get your feet wet such as being a production assistant or extra in a film even if it’s a student project. Create your own work and build a team around that. Always ask questions and be passionate about what you’re doing. Once you get your foot in the door, explore what it is you think you might enjoy most. Some people like to operate a camera, some are good at directing, some people are good at art direction and design, some just love acting. Do it all and see what makes you happy and go from there. Always take initiative. I was always trying to get into the business, but never had any guidance. I actually had to crash a film set which was shooting at my other home “Shea Stadium” and that’s how I worked my way in. If your school has any classes in it, take them. Always be willing to learn. Find a mentor. I wish I had that. I had to do everything on my own and I started later in life mostly because I didn’t have any family guidance or support which included finances. Maria- We chatted some on Twitter. We both have something in common: we’re Duranies better known as Duran Duran fans. Did you meet the entire band? I’m thinking you said you met John a.k.a. “the bass god”. If so, what was that like? Lori- Yes! I met the entire band several times actually. My first time meeting them was August of 1990. John was always my favorite so of course I was on cloud 9 in my first few meetings with him (plus I was still young..lol) but now I see them as just my musical idols and peers. I went to this private Moma Event they had in November of 2013 (my 40th birthday gift/celebration) and I told John about my song “I’m Not Perfect” and how they inspired me to write music etc. He said “I’m Not Pregnant” is a great song title. My friend Maria and I were dying laughing and then I was thinking of parody ideas for my song based on that. Maria- Who would you like to collaborate with on a song? Maybe Simon LeBon? Maria- Tell me three things about yourself that no one knows, not even your best friend knows. Lori- I’m not sure honestly. I kinda leave everything out there in the open. I guess maybe I am a little more private than I think. I prefer one on one hangouts than group functions. I do enjoy alone time, but then I’ll get bored. I dunno. Maybe I’m more sensitive and emotional than people think, but then that’s expressed lyrically. Maria- What is one thing in this world that you would change? Lori- Stopping hate. Becoming more compassionate and that requires people to stop being selfish and entitled. It has definitely become a me me me type of world….I can’t stand it. Be OK with what you have because many people have less and earn things and be humble. Is that more than one thing or is it a trickling effect? Maria- This might be hard, but tell me how you feel as a writer in one word. Maria- On occasion I like to share motivational and inspirational quotes with my readers, do you have one you would like to share. Lori- I would have to say believe in yourself and work hard and go for your dreams. You have to take things in your own hands and go for it with all your heart. Maria- Do you have any favorite TV shows? Lori- At the moment I love “Gotham”,“Bates Motel”; “Big Bang Theory” and “Last Man on Earth.” Of course I love all the old reruns of “Friends”,“Seinfeld”, “Everybody Loves Raymond” and all 80s shows. Maria- What is one film you would like to take to a deserted island with you? 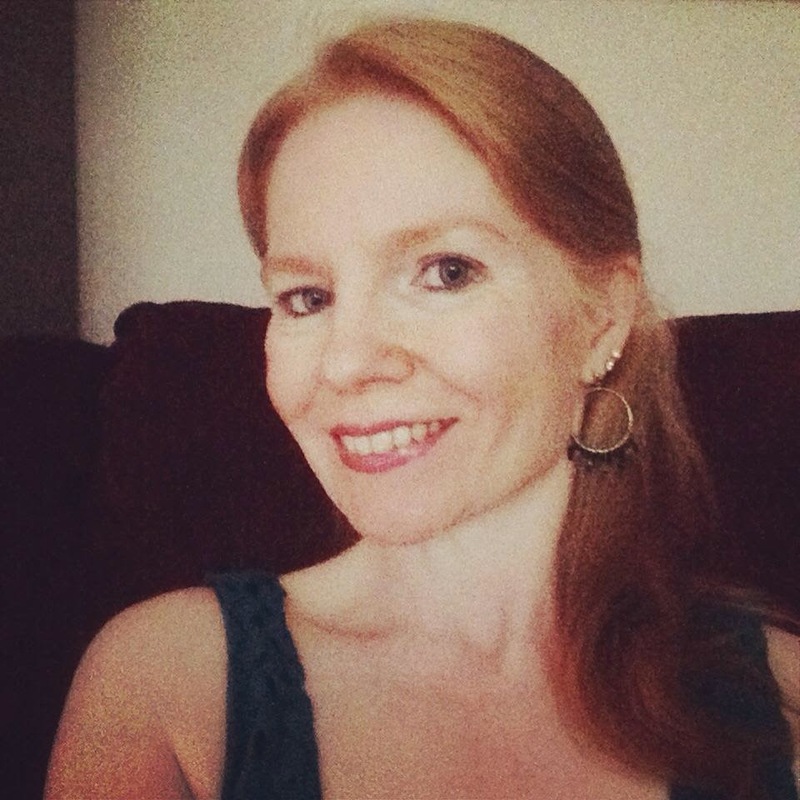 Follow Lori on her social links listed below.